Patrick Campbell joins Peter Reitzes to discuss being a medical student who stutters, passing as fluent, moving from covert to overt, presenting in front of hundreds of people, accommodations in medical school and much more. 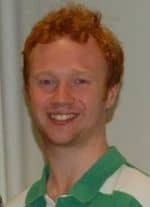 Patrick Campbell is a fourth year medical student at the Hull York Medical School in England and a person who stutters. Mr. Campbell used to try and keep his stutter hidden but has since realized there is a better way to approach his speech, with openness and acceptance. For the past three years, Mr. Campbell has been working towards this aim. He has most recently been elected to become trustee for the British Stammering Association as he hopes to give back to the stuttering community.